I know that we’re drooling over the trickle of information regarding Battle for Zendikar, but this is the time to look at Magic Origins and see how prices have changed. There are 71 rares and mythics in the set, and only eighteen of them are worth more than the $4 cost of a pack. That’s only a 25% chance of making your money back, and I leave it up to you if you’re comfortable at that level of risk. In case it hasn’t been made clear, unless you’re getting boxes for about $75, which comes out to about $2 per pack, don’t open packs for value. It’s just not there. Go buy a playset of whatever you need, if it’s Jace, Vryn’s Prodigy or if it’s Demonic Pact. You’ll spend less on the singles and still get your value directly. I also want to look at the trajectory of some cards, since we don’t have that much longer. Once Origins is no longer opened, the prices will mostly stay where they are, except for the ones that spike due to new interactions with new cards. Jace has gone up more than $10 so far and he might not be done. It’s been a long time since there was a cheap, playable looter in Standard and there are a lot of interactions that aren’t fully utilized yet. For instance, Jace is pretty amazing in a Jeskai Ascendancy deck, though those decks haven’t broken out yet. Snapcaster Mage has taught us the value of adding flashback at no cost, and Jace has popped up in a couple of Legacy events already. At $25, I feel this is a nice stable price, but it woin’t take much for that price to bump higher, especially if Jace demonstrates he’s worthy in eternal formats or combo decks. 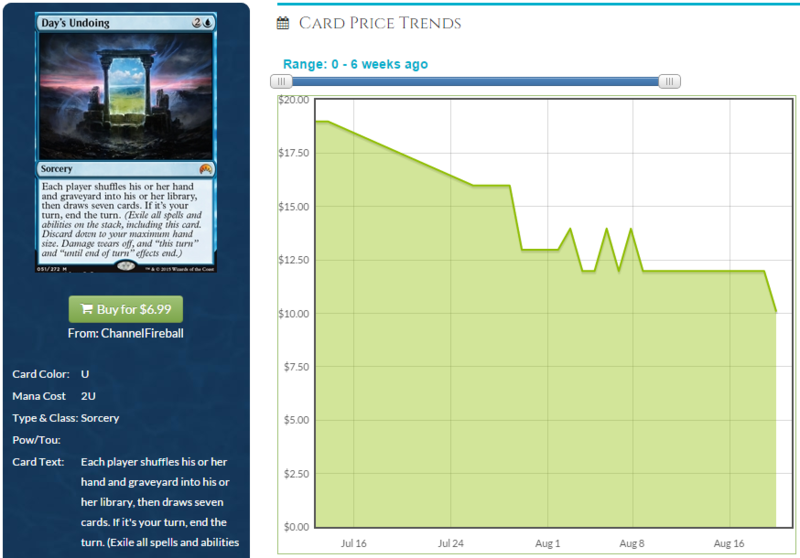 Liliana is seeing less play than Jace is but her price hasn’t really come down to reflect that. She’s not in high-finishing decks, and she’s not played as a four-of. Her price is too high and I expect it to travel downward. The only decks that shouldn’t play this are the ones that are trying to play an aggressive strategy. This is phenomenal when trying to grind card advantage, or even when deployed on turn two to be a 1/1 and then a 1/1 again, purely for blocking and delay purposes. If given the chance it’ll simply take over the game. It’s at $18 right now after solid growth and I think that it’s probably hit its height. This is a great candidate for Event Decks or a Clash Pack, something to push more copies out there because the casual demand is also quite high. A rare sorcery-speed burn spell is nearly $10?!? I’d be selling these hard and fast. It is flexible, yes, but it’s only getting played in aggro red decks and it’s at the post-PT high point. When it gets back to $4-$5 then I’d like to pick them up again. Another card that’s heavy on the post-PT hype, notice that the card isn’t seeing play outside of one archetype so far. It hasn’t been added to Legacy or Modern yet, but I wouldn’t be surprised. Until that happens, though, I don’t like speculating on a card with this high a price. I’m a seller at $9-$10. So this was one of the biggest preorder prices of the set and the card has been falling since. It’s still $10 despite seeing almost no play. It has showed up in a couple of Legacy decks, mainly as a three-mana ‘draw 7’ effect which isn’t really breaking it. Price memory is keeping this where it is. Get out for the best price you can. This card is pretty amazing, especially with Darksteel Citadel in the format. Once that’s gone, and the ‘free’ artifact isn’t an option, I expect there to be a lot less decks playing this enchantment. Sell all the ones you don’t need, right now. I think this card is intriguing. Right now, it’s mainly searching up something like Courser of Kruphix, Invasive Species, or my favorite use, Reclamation Sage. What I’m thinking about is that every nonlegendary green creature printed in the next year makes this card better. I’m also looking hard at the foils, because Commander loves this card so very much! I’m hoping the foils trickle down to the $10 range. Don’t lose sight of the uncommons, specifically Sphinx’s Tutelage and Whirler Rogue, because we only have five weeks until the Prerelease. 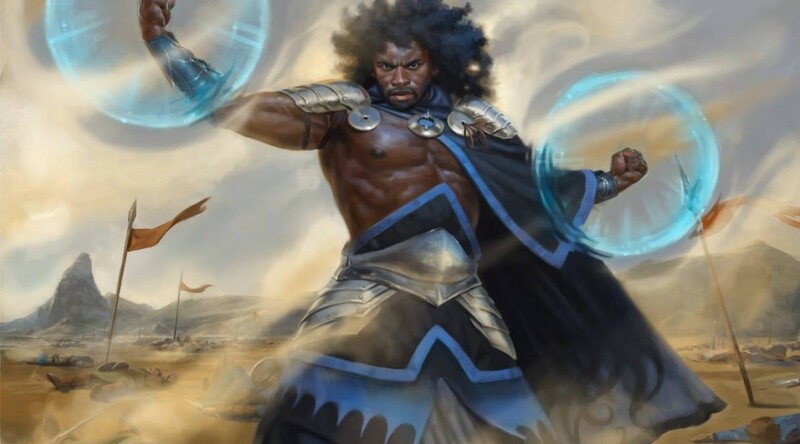 Orgins is a little blah to draft, so I imagine that there will be almost no stores choosing to open Origins at Friday Night Magic once Battle for Zendikar is out. What do you think about picking up big amounts of Herald of the Pantheon for $0.84 and Sigil of the Empty Throne for $0.33 ? Joost – I wouldn’t bother with Sigil as it didn’t fare well last time either. Once rotation hits, all the enchantment cards making it even slightly playable, will be gone. The same story goes for Herald as it problably has no home outside GW Constellation. The exception would be if they printed some very useful enchantments in BfZ. But the enchantment creatures are a Theros Thing only. So don’t keep you hopes up. Woodland Bellower could be HUGE someday….jumped in with both feet at $10 foils.